Anguil Environmental is an air pollution control, water treatment, and energy recovery system provider to the global manufacturing sector and industrial markets. The company is uniquely capable of supplying integrated air and water treatment solutions for environmental compliance. 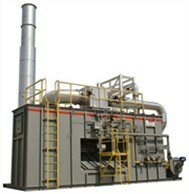 On vapor combustion applications, Anguil has over four decades of experience with the design, manufacturing, service and installation of thermal and catalytic oxidizers for the destruction of Volatile Organic Compounds (VOCs), Hazardous Air Pollutants (HAPs), process odors and Nitrous Oxides (NOX). Anguil also specializes in energy recovery systems that reduce a company’s operating costs, lower their carbon footprint and decrease energy consumption by utilizing waste heat from manufacturing processes. 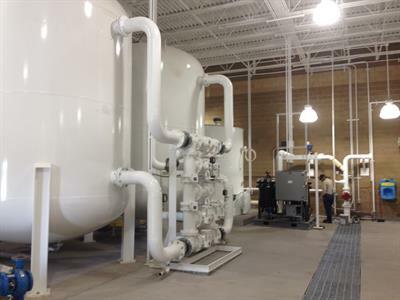 On the water side, Anguil Aqua provides turnkey water treatment systems that target solid or liquid pollutants from industrial and remediation applications. Mission Statement: Anguil Provides Environmental And Energy Solutions That Ensure Cleaner Air And Water For Future Generations. Anguil Environmental Systems, Inc. is an air and water pollution control system provider headquartered in Milwaukee, Wisconsin U.S.A. with offices in Europe and Asia as well as an extensive network of agents located domestically and throughout the world. More information on our worldwide presence can be found in our company directory. Over the past four decades, Anguil has developed a breadth of abatement technologies that control harmful and regulated Volatile Organic Compounds (VOCs), Hazardous Air Pollutants (HAPs), process odors and Nitrogen Oxides (NOX). The result is over 1,700 installations around the world encompassing a wide range of applications and technology solutions. This experience provides Anguil with the confidence to assess and resolve most air pollution issues. The company's ability to provide multiple abatement technologies places them in a position to select the correct technology to fit each project. Potential customers can expect an unbiased equipment selection based on the destruction requirements, efficiency needs and process parameters. The solution will include a turnkey system that seamlessly integrates into the specific process, providing customers with single source responsibility. Recognized for numerous awards including Wisconsin Exporter of the Year (two time winner), Future 50 (four time winner), Top Workplaces (two time winner), US Chamber of Commerce 'Blue Chip' and the Jeffrey Butland Family Business of the Year. Fiscally sound, industry leader with a proven track record for success in almost every industry. Not a division of another corporation, unlike most of our primary competitors. Over half of the entire staff are degreed engineers from a broad range of industries, giving them first-hand knowledge of your particular process. Anguil's research teams know precisely the local and national regulatory standards directed at your industry and your company. Regulatory compliance for emission destruction is guaranteed. Anguil has developed a full range of technologies resulting in an unbiased approach to your requirements. Our unique air volume reduction techniques, lower temperature requirement and relatively maintenance-free design leads to lower capital cost and lower operating costs. Through membership in numerous industry associations we continue to gain knowledge and insight on the latest air pollution control techniques and trends. Anguil's commitment to the environment is further communicated in our Sustainability Policy and through efforts in programs like Adopt-A-Highway. 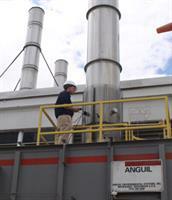 Founded by Gene Anguil, Anguil Environmental initially specialized in energy recovery systems. Utilizing the company's experience in air handling, energy control and chemistry, Anguil began successfully designing and fabricating a popular catalytic pollution control system. Using this formula for identifying and executing solutions, the company evolved into a provider of numerous oxidizer technologies. Following enactment of the 1990 Clean Air Act, Global Technologies Inc. was formed as a division of Anguil Environmental to focus on emissions associated with soil and groundwater remediation of brownfield and superfund sites. That business unit remains well established as the authority on oxidizers for chlorinated and halogenated remediation projects. In 2008, at a party celebrating the Anguil's 30th year in business, Gene announced that the company would begin its' transition to the second generation. He became the Chief Executive Officer (CEO) and handed many of his responsibilities over to the next generation, namely Chris and Deb Anguil. Chris Anguil, Vice President of Sales and Marketing at that time, became the President of the organization. In this capacity he is responsible for both, the top line or revenue as well as the bottom line or profit. Deb Anguil, serving as Vice President of Operations, transitioned into Chief Operating Officer (COO). In this capacity she maintained her responsibility of meeting customer expectations while also focusing on product improvement and overall efficiency within the company to improve profitability. Anguil Environmental Systems is proud to be a family owned and operated company engaged in an industry that ensures future generations a sustainable environment. See what it is like to be an Anguil employee. I like to say that Anguil has remained in business for all of these years because we provide solutions today that help our customers remain profitable tomorrow. Since our inception in 1978, we have dedicated our efforts to designing products to meet or exceed regulations in an energy efficient manner. We are proud to be in the business of improving air quality. From the engineering talents of our employees and local suppliers to the offices, fabrication facilities, and installation capabilities provided by our partners throughout North America, South America, Asia, Europe, and Australia, Anguil has been a leader in the resolution of a wide range of air pollution issues around the world. At Anguil, we realize that controlling air pollution is controlling our future. Anguil’s company slogan may be “Committed to Cleaner Air and Water,' but we are equally committed to the professional and personal success of our employees. Our strength as an organization stems from the individuals that commit themselves to getting better every day and we do our best to support that attitude. Anguil offers great benefits and the unique opportunity to work for one of the top employers in Milwaukee. We have designed our benefits and perks with the employee’s best interest in mind, understanding that a positive work/life balance is crucial to a healthy organization. Anguil employees enjoy a friendly, casual work environment, where both company and personal goals are shared and accomplished. We pride ourselves on fostering personnel development and wellness, while promoting employee camaraderie and company culture.